Royal Caribbean’s Empress of the Seas is scheduled to sail to Cuba from Miami on April 19, then move to Tampa for its next two Cuba departures. Travel agents have begun selling cruises to Cuba set to sail in the first half of 2017, but some said the limited number of itineraries approved so far by the Cuban government makes it hard for them to justify a marketing campaign. Royal Caribbean International has three cruises to Havana firmly scheduled, while Norwegian Cruise Line has five. While six brands were authorized in December to carry passengers on a handful of cruises to Cuba, no U.S. cruise line has permission to sail there after the end of May, although most have applied. And in the U.S., the volatile politics of rapprochement with Cuba could very well signal an end to relaxed travel rules with the change in administrations this month. That uncertainty is hampering what otherwise might have been a great new market for agents, Rice said. The latest opening for passengers interested in cruising to Cuba came Dec. 9, when the country approved a number of new entrants, including Oceania Cruises, Regent Seven Seas Cruises, Azamara Club Cruises and Pearl Seas Cruises. All those companies have opened sales and set dates for at least one cruise, offering consumers a variety of price points, cruise lengths and luxury levels for a U.S. departure that includes Cuba. In the contemporary segment, the entrants are Royal Caribbean and Norwegian Cruise Line. 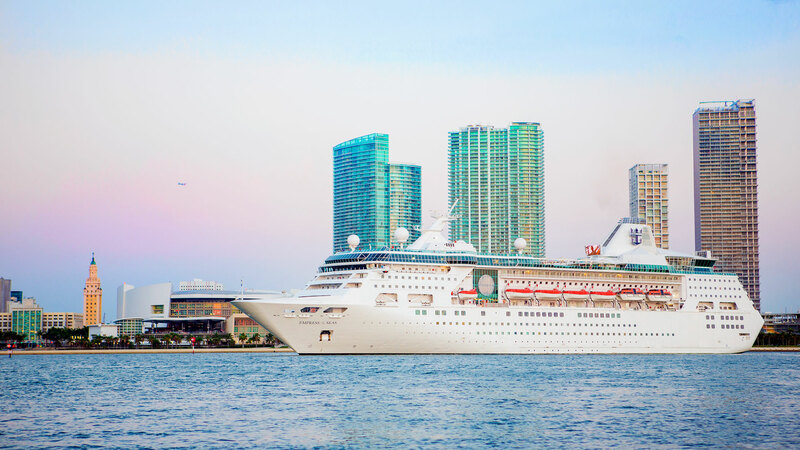 Royal Caribbean’s Empress of the Seas has a five-day Cuba cruise scheduled to depart Miami on April 19, along with a seven-day cruise from Tampa departing April 30 and a five-day cruise from Tampa leaving May 20. Rice said he is offering the five-day Tampa cruise at a lead-in price of $608 per person. Norwegian Cruise Line has four-day cruises on the Norwegian Sky departing Miami every Monday in May that include an overnight in Havana and a stop at Great Stirrup Cay. Prices for inside cabins start at $699. Cheryl Scavron, an agent at Dream Vacations in Pompano Beach, Fla., said the prices can seem expensive relative to a typical Caribbean cruise. “People from here, it’s in their minds that Cuba is 90 miles away; it shouldn’t cost me that much to go there. They think about it as another Caribbean island,” Scavron said. Frank Del Rio, president of Norwegian Cruise Line Holdings, said in a recent conference call that the Cuba cruises would be priced at a premium because of their relative scarcity and pent-up demand. Scavron said another hindrance is Royal Caribbean’s decision to have just one cruise to Cuba from Miami before repositioning the ship to Tampa for the summer. “People from here, it’s in their minds that Cuba is 90 miles away; it shouldn’t cost me that much to go there.” — Cheryl Scavron, Dream Vacations, Pompano Beach, Fla.
Several cruises departing Miami for Cuba are scheduled by lines in the upper-premium segment, offering smaller ships and more luxury than the 1,602-passenger Empress and the 2,004-passenger Norwegian Sky. Azamara Club Cruises will include an overnight in Havana on a 12-day Azamara Quest departure from Miami on March 21. Prices start at $2,799. And Oceania Cruises will spend from 8 a.m. to 11 p.m. in Havana on March 9 as part of a 14-day cruise on its Marina ship, with prices starting at $3,199. 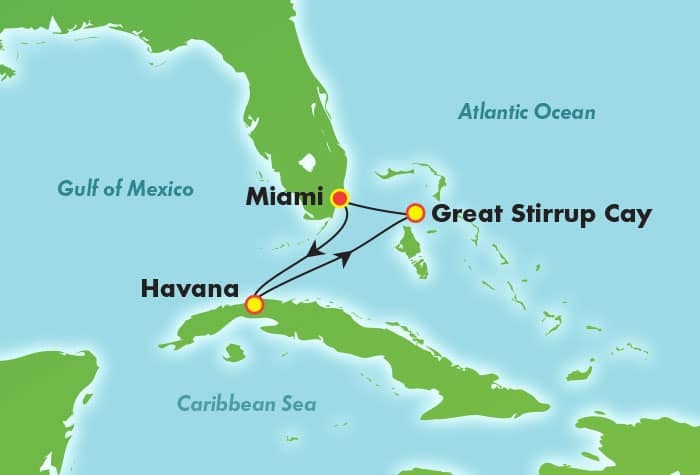 The Marina has two subsequent 10-day cruises that include overnight stays in Havana. Luxury operator Regent Seven Seas also has departures from Miami scheduled on April 11 and 18 that will include an overnight stay in Havana. Prices for the seven-night cruises start at $2,999 per person. Bill Schneider, owner of a Dream Vacations franchise in Tampa, said he has one client in particular who has been waiting for a newer, more luxurious ship such as the Seven Seas Mariner to book his initial cruise to Cuba. “Regent is the way I’m pushing him,” Schneider said. He said that the Empress of the Seas sailings haven’t drawn any calls. The Empress Cuba sailings opened for booking on Dec. 9 and have been selling extremely well, said Lyan Sierra-Caro, a corporate communications manager at Royal. Only one line is offering ports other than Havana initially. Pearl Seas Cruises has a series of 11 10-day sailings from Fort Lauderdale starting Jan. 17 on its 200-passenger Pearl Mist coastal cruiser that will visit seven ports on the island, including Havana, Cienfuegos, Trinidad and Santiago de Cuba. The cruises end in April. 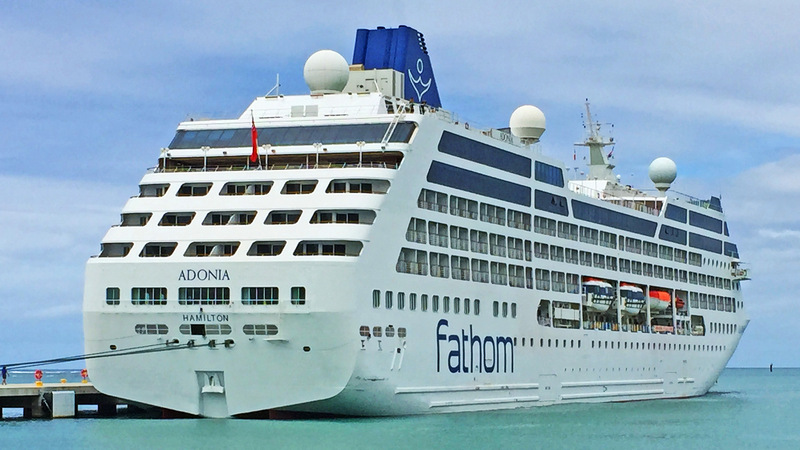 Carnival Corp.’s Fathom brand won permission to visit Santiago de Cuba as a port call on six sailings to the Dominican Republic this winter on the Adonia. In addition, the 704-passenger Adonia continues to sail every other week to Cuba, but those cruises, like the others, end after May. Rice of Vacation Tour and Cruise said agents can only hope that more approvals are forthcoming after that.